Here is the Foothills Homes Sales May 2016 video update for Single Family Residence (SFR). Just click the link below to view the latest months Single Family Residences activity. In addition to the Catalina Foothills home sales report, our Tucson Housing Report covers real estate active for all of Tucson AZ. Our Catalina Foothills Homes sales May 2016 video update summarizes active in this sought after Tucson residential area. The Foothills area is home to the Catalina Foothills High School. District 16 High School is consistently ranked in the top Arizona schools. Play Kim’s Foothills Homes Sales May 2016 Video Update – NOW! 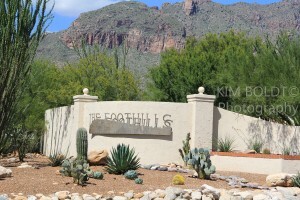 The history of the Catalina Foothills began in the early 1920s. Originally a federal trust land and open range, development began just north of River Road. Homes in 10 housing subdivisions sprang up. These early subdivisions had large lots and low density residential living. Good fortune shined down on this development in the name of Josias Joesler. Joesler was a Swiss architect who had immigrated to America. Development began in the 1930’s. He designed many of the homes in the Catalina Foothills. A “Joesler” home is a sought after and treasured house in the Foothills. The Catalina Foothills School District started about this same time. CFSD’s first facility was at East River Road and North Campbell Avenue. That building continues in service as its administration facility. Catalina Foothills High School is just south of Skyline Drive and west of Swan Road. It ranks among the top schools in the Tucson metro area. Our Catalina Foothills homes sales report is one of eight monthly reports we prepare on Tucson communities and horse properties. Furthermore, if you are looking for a home in the Catalina Foothills OR a condo for a winter get away? We can help!